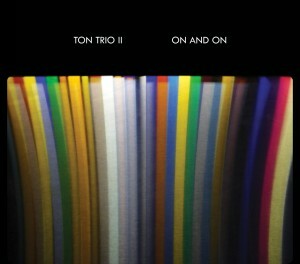 Ton Trio II with Aram Shelton, alto saxophone; Scott Brown, bass; Alex Vittum, drums. They are an avant/modern jazz trio that thrive in, and out of conventional structure. Drawing from Shelton’s bright and even folk-like compositions, the trio weaves continuously through melody, rhythm, and texture with written parts that serve as entry points for spacious improvisations. All three members play almost continuously, keeping the voices of melody, harmony and rhythm on an even level. The Oakland based Ton Trio II was formed by Shelton in late 2012 as the newest vehicle for his small ensemble avant jazz writing, heard before in groups including Arrive (482 Music and CleanFeed) with Jason Adasiewicz, Jason Roebke and Tim Daisy; Cylinder (CleanFeed) with Darren Johnston, Lisa Mezzacappa and Kjell Nordeson; and the Fast Citizens (Delmark) with Fred Lonberg-Holm, Josh Berman, Keefe Jackson, and Frank Rosaly. Ton Trio II has quickly developed a body of work through a monthly at the Layover in Oakland hosted by the Oakland Freedom Jazz Society.